Depending on your default application settings on your Mac, certain apps may open when you connect certain external devices to your computer. 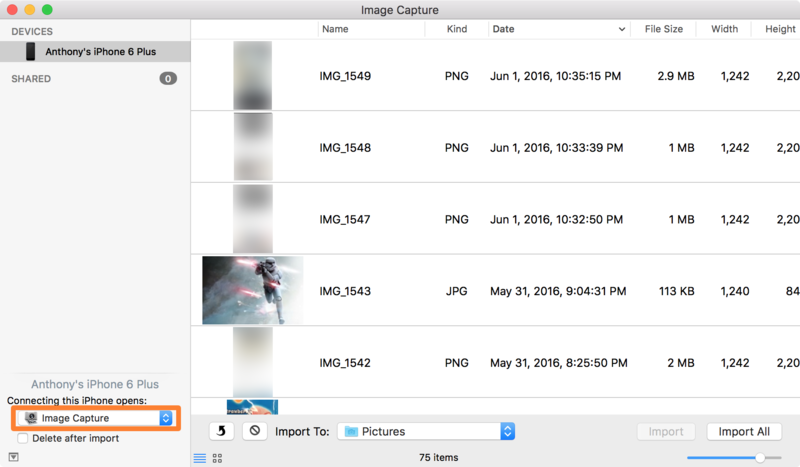 Among those could be Apple’s Image Capture app, which is a media-importing app that comes with your stock installation of OS X. 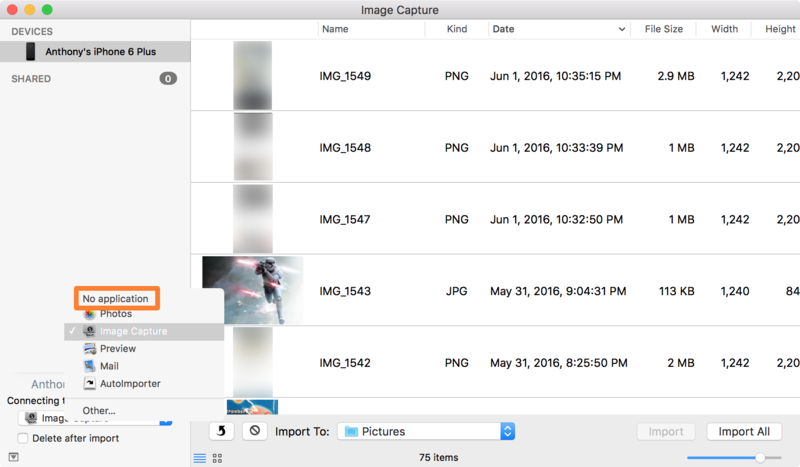 In this tutorial, we’ll show you how to disable Image Capture from launching every time you connect your iPhone, iPod touch, or iPad to your Mac. If Image Capture keeps launching when you connect your iOS device to your Mac, it can be annoying because anyone sitting next to you will see the contents of your Camera Roll as it pops up on your Mac’s nice large display. The reason it’s doing this is because you may have previously set your Mac to launch Image Capture when an external media device is connected to your computer. 1) Connect the iOS device you want to disable Image Capture launching on your Mac for. 3) This will reveal a hidden menu with a drop down menu selection box with Image Capture selection. Click on it. 6) Verify your settings worked by quitting Image Capture, then unplug your iOS device and plug it back in again. If Image Capture doesn’t re-open, your changes were successful! Personally, I like launching my desired apps when I choose to, rather than letting OS X launch apps for me when I connect things to my Mac. For that reason, I prefer to disable auto-launching of apps like Image Capture, iTunes, and Photos when I connect my iPhone or iPad. 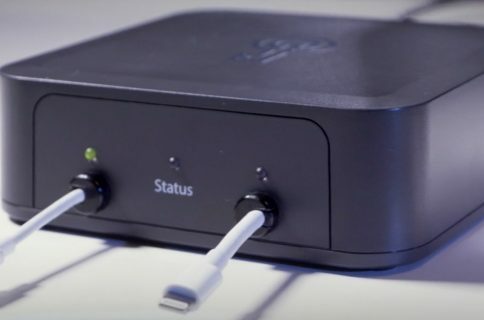 This method should also work with additional peripherals, such as SD cards, USB flash drives, cameras, and other media storage drives that might cause Image Capture to launch, so it’s not limited to iOS devices only. Do you like it when stock apps launch automatically after you connect peripherals to your Mac? Share in the comments!